Our school is in the Parish of St. Martin's and St. Paul's in Tipton. Our nearest church is St Matthew’s. The Vicar at St Matthew’s is the Rev’d Allen Bower. As a Church School, the love of Jesus Christ is our foundation which we hope will be evident to all who pass through our doors. We hope that it will guide, not only the religious aspects of the curriculum day, but will also be a firm foundation for the whole life of the school. Our aim is to enable the pupils of this school to grow physically, mentally, socially and spiritually so gaining respect for themselves, each other and for the whole of God's world. 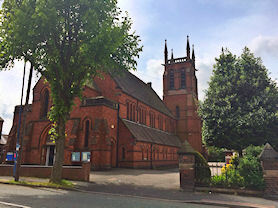 St Matthew’s enjoys a lively, informal, style of worship and they have a wide range of activities and children’s groups ranging from 4 to 18 years throughout the week. Please visit their website for further information, or follow them on Facebook and Twitter for updates (external links). Our school was named after St. Paul. 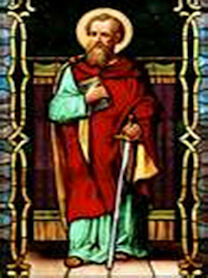 St. Paul was converted from Judaisim on the road to Damascus. He was the ultimate missionary, travelling throughout many countries and lands preaching the Gospel of Jesus. He established numerous Churches during his travels and was even imprisoned several times. St. Paul died in the year 67. He was also known as the Apostle Paul, Paul of Tarsus, and Saint Paul.